Interested In Joining Team Levett? If you are interested in developing your equestrian skills, grooming and caring for horses, from time to time we offer trainee groom positions, as well as occasionally needing experienced grooms. 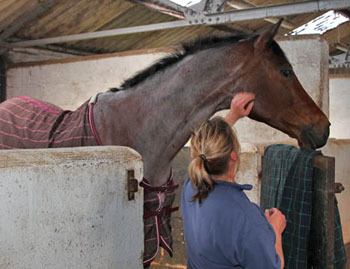 To apply as a trainee you don’t need previous experience on an eventing yard. An interest in eventing and a desire to learn and care for horses are enough. It’s a team based job so you also need to enjoy working as part of a team.